These sterling silver bee post earrings are dainty and playful. In many religions, honeybees are commonly depicted as messengers for the spirits, and are closely associated with the sun. 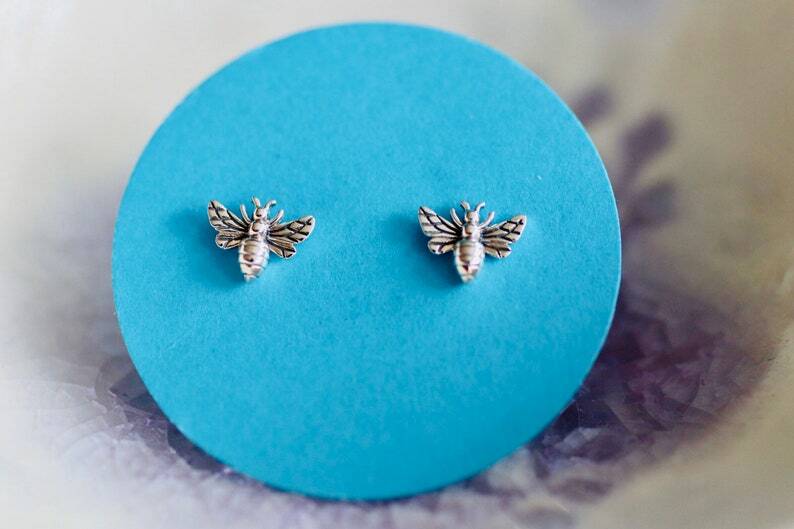 Buzz away with these cute and ready to wear stud earrings. Grab a pair of these today and while you're at it grab one for your best friend too! Honey Bees measure 6 mm. All of our earrings come in a mini keepsake box ready to be gifted.